Jessup was the first to bring silicon carbide grip tape to the skateboard industry, and have over 32 years of experience in making quality grip tape and gripped over 25 million decks. The "SUPERTOUGH" Silicon Carbide Grip Formula conforms to all deck concaves, is easy to trim out, and won't tear like other tapes. The Silicon Carbide grit never wears out, and will outlive any grip tape in the world! No longer do skateboarders have to settle for plain boring black grip tape. Now you can Pimpgrip the top of your skate deck with an assortment of colored grip tape, from Camo to Fluorescents. PimpGrip brings the fun back to skateboarding. Superior grip performance and quality construction. Custom sizes and die cuts are available upon request. Any area where slipping is a hazard. May be used indoors or outdoors. Stable platform for ultimate control. Laminated and Solvent Based Pressure Sensitive Adhesive Layers create. Rock-solid bonding to all boards. I am looking to replace some grip strips that came on the acrylic steps of my pool which are coming off. If I apply this to a dry acrylic surface will it be OK once I refill the pool? Basically, will it stay in place under water? Is the grip tape removable if applied to a smooth surface? If the clear color is applied on top of a pattern, will the pattern show through? How thick is the tape? Please send samples of both self adhesive non-skid products in different textures that you offer. Interested in gray and black if you offer it. 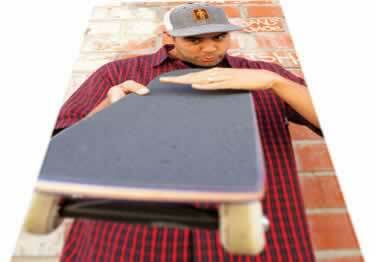 Skateboard Grip Tape means Jessup PimpGrip brings the fun back to skateboarding. Superior grip performance and quality construction in a variety of colors. I cut product into strips and used on my boat steps. The color choices add to accents. Excellent service and delivery. Product works great to enhance the purchase on my handgun grips. I have used many different products to add anti skid/slip properties to boards through the years but this Jessup Clear is hands down the most incredible product I have found. Incredible antislip properties and a deep hue to allow colors to bleed through(they are somewhat lessened as one would expect with the vigorous type of antislip surface but the most important issue is the ability to indue antislip properties in high torque maneuvers. You can't go wrong using Koffler Sales products, ESPECIALLY their Jessup tape, Hang in there Dude! I bought this as a replacement for the slip proof surface on my bass boat. This product is far better than anything I have seen. I have contacted the boat manufacturer and sent them a sample. I expect that next years model will have this grip tape. I having been using this griptape since day one and with these prices ill never buy from anywhere else. Best Service, Price and Discounts I've Seen! The product I needed was easy to find. Selection and ordering were easy and made sense. The great deals can't be beat. Thank you for the generous discounts and FREE shipping. I will always buy my grip tape from Koffler Sales Company! fast service, great product. will purchase again! Reflective tape products to fit most any application-offers vibrant daytime visibility with reflective properties for nighttime. A soft rubberized provides excellent grip, while channeling water away. Excellent for wet floor areas.